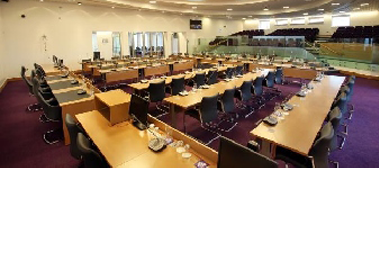 Technical Display Systems are currently supplying and installing conference and AV presentation systems for Chelmsford City Council. The Council have completely gutted the Chamber of the previous ornate and panelled design in favour of a more modern look, to include re-configurable desking. 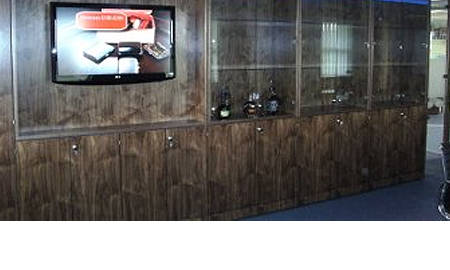 The architects involved, however, want the AV equipment to be as inconspicuous as possible. To this end, we are supplying 2 projectors fitted to motorised hoists that retract flush to the new plastered ceilings. These are focussed onto motorised projection screens that are concealed when not in use within the ceiling void either side of the Mayoral desks. These seating positions view a presentation by means of PC monitors positioned on each desk. Two repeater 60″ monitors are mounted on motorised brackets flat on each side of the Chamber and automatically swivel outwards towards the public gallery as required. 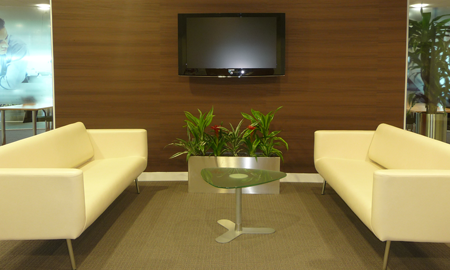 Monitors installed in the reception area can also view the information from the Chamber. We are providing a 75 delegate Bosch wireless conference system, along with 3 cameras that can zoom in and focus onto whoever is speaking at the time. Chelmsford also will incorporate webcast facilities at a later date. They also are having control of dimmable lighting and black out blinds, so we are supplying a more powerful AMX remote control system to include 2 touch panel controllers. Technical Display Ltd, in conjunction with the main contractor, has just installed Audio Visual presentation systems at One Vision Housing Associations new Liverpool HQ. 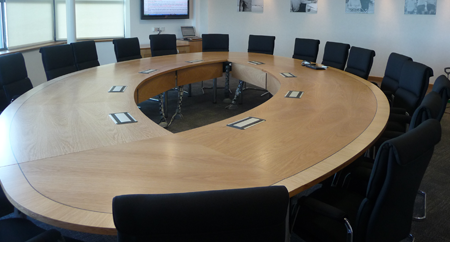 There are numerous meeting and training rooms fitted out with multi-source presentation systems and digital signage screens.